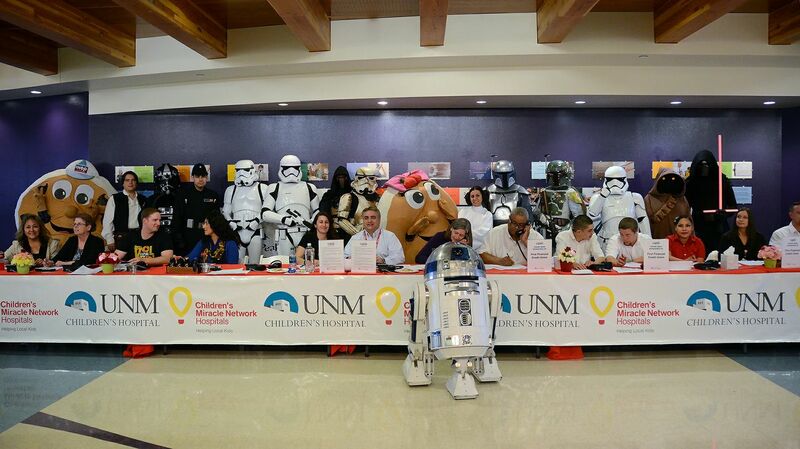 The University of New Mexico (UNM) Children’s Hospital is hosting the 13th Annual 100.3 The Peak Radiothon from the sixth floor of the UNM Children’s Hospital on Thursday and Friday, Feb. 16-17 from 6 a.m. to 6 p.m.
Radiothon is a cooperative effort among Children's Miracle Network Hospitals, UNM Children’s Hospital, Clear Channel Communications, 100.3 The Peak—Jackie, Tony and Donnie, local businesses, listeners, donors and volunteers. During the two-day event, patients, families and medical professionals share stories of medical miracles with The Peak’s listeners so the community can learn more about the high-quality care available through UNM Children’s Hospital. During the Radiothon, listeners help support UNM Children’s Hospital by calling in a pledge to 505-272-1003 or 1-866-811-1003. Anyone can make a secure gift online throughout the year by visiting Children's Miracle Network. 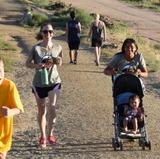 This annual fundraiser helps UNM Children’s Hospital, the state’s only Children’s Miracle Network Hospital, provide the most advanced and specialized pediatric care available to more than sixty thousand children from every county in New Mexico and neighboring areas. It’s the biggest fundraising effort each year, with all of the proceeds supporting the UNM Children’s Hospital. The range of care provided extends from acute illness and trauma to chronic disease and disability, and draws additional expertise from UNM's School of Medicine, Colleges of Nursing and Pharmacy and UNM Cancer Center. The facility spans three floors of dedicated pediatric clinical space and includes a newly equipped maternity center, newborn intensive care unit, pediatric oncology infusion center, Child Life Center and the state’s only dedicated pediatric emergency department.